It is now our second time to have the early KIDS Christmas outreach project in Tarlac. On 10-11 December 2016, the team went to Tarlac City to spend time with the children and visit some families. Same place, some familiar faces but a whole lot of new experience! For this year, the number of beneficiaries increased and the places were farther. It was a weekend full of laughter, touching stories, challenges, and inspiration. Same as last year, we received a lot of support from our friends and colleagues. But this time we were very grateful to receive donations from Germany, Japan, and Qatar. The donations we got helped us complete the 170 kiddie loot bags and 20 Noche Buena (Christmas Eve Dinner) packages for the families. We are also thankful to our partner, Mr. Christopher “Topey” Delos Reyes for providing the team’s food and accommodation for the whole weekend. Anika is a 4-year old girl from Qatar. She asked her friends to give toys for the children during her birthday. The package we received from Anika and friends! In the morning of 10 December, the team first met with the children from Home for the Women (formerly Home for the Girls) and Lingap Center (Boys’ Town). After a short introduction and opening prayer, laughters and cheers filled the room as they played several games. Excited to get their prices and gifts! 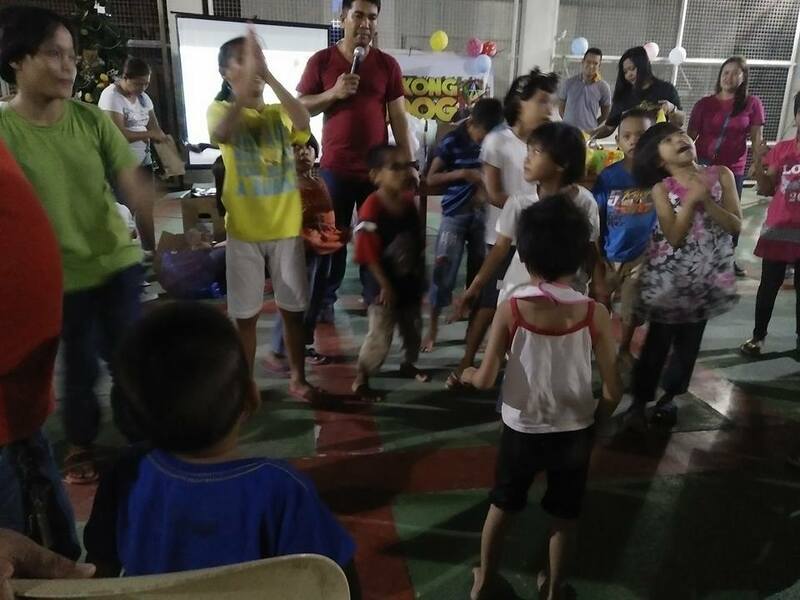 They also had a great time enjoying the food prepared by Mr. Delos Reyes and his friends from the Sangguniang Kabataan (Youth Association). There were also ice cream and cotton candy kiosks for the kids and kids-at-heart. The fun continued as the team visited the Special Education (SPED) class. Seventy (70) energetic and excited students, all dressed in red, welcomed the team! Aside from games, they also shared their talents in dancing and singing. As part of our annual Christmas ritual, members of the club made a short visit to Monasterio de Tarlac during their lunch break. 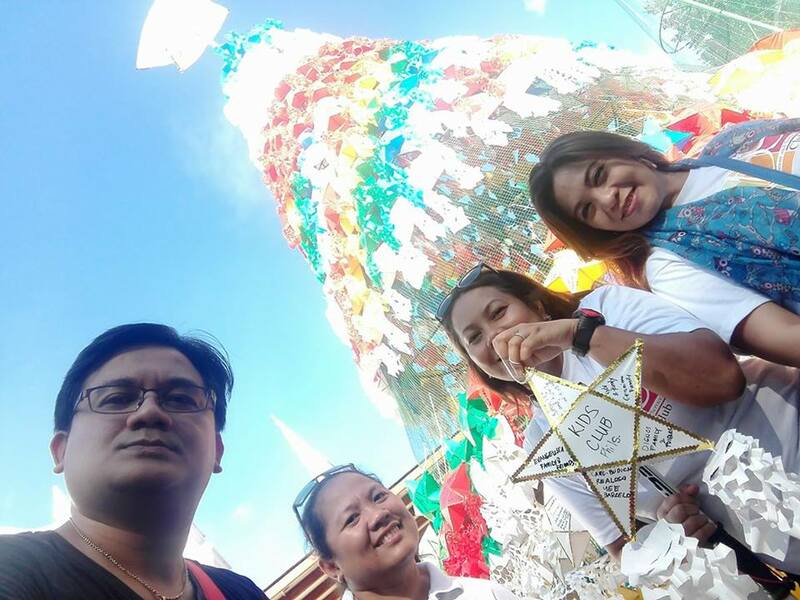 After offering their prayers and thanks, the team hung a white star on the monastery’s Christmas Star tree. The afternoon of 10 December (Saturday) and 11 December (Sunday) were spent for visiting 20 families living in different secluded areas of Tarlac City. Compared to last year, the houses are farther from each other. There were times when the team needed to walk along rice paddies or drive in the middle of sugarcane field. A bit scary and challenging but very enjoyable for the whole team. Each house that the team visited inspired the members one way or the other. They met people who are more than 100 years old as well as children with different illnesses. The short talks made them realise the value of life, family, health, and simple living. The sweets and other treats made her happy. But she touched our hearts when she said that she is so lucky. In addition to the usual activities, the team also visited the Orphanage of St. John. It was already dark when the team reached the center on the night of 10 December (Saturday). It has been a long day for most but the excitement of the children refilled their energy. 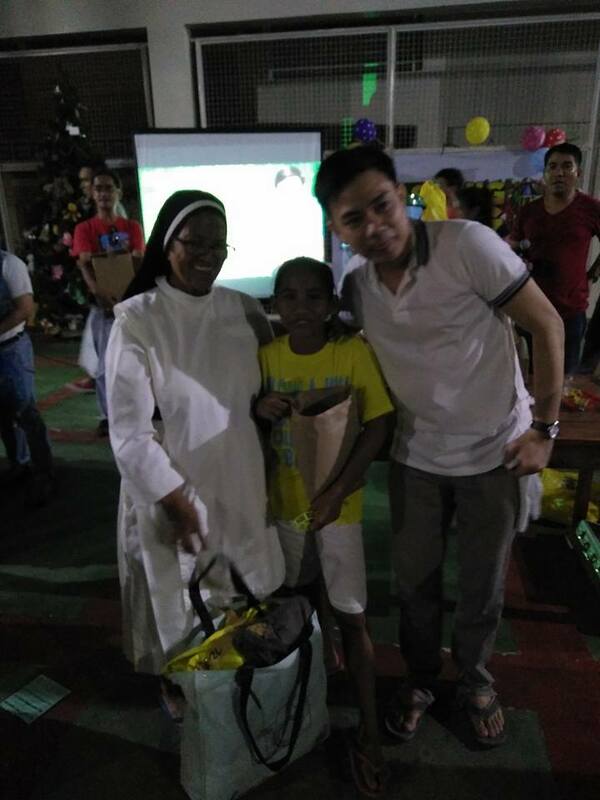 Aside from toys; snacks; and food, they also received some clothes. To view the short video of the event and other related posts, please visit our Facebook Page.